What types of homes are eligible for financing? Can I get an USDA Home Loan if I have had a bankruptcy? 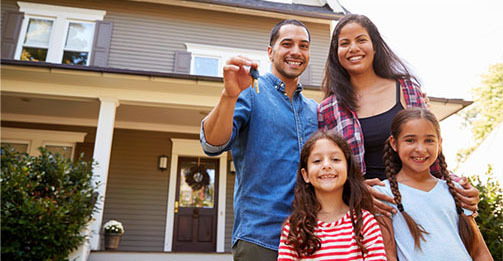 What factors determine if I am eligible for an USDA Home Loans? The USDA Rural Development Home Loan is a flexible zero down payment government guaranteed program that is growing in popularity. It is designed to promote homeownership to residents in rural communities with low to moderate incomes and who have limited savings for a down payment. A common misconception about the USDA loan program is that it is only for farmers, but you will find that just outside most metropolitan areas there are many suburban areas that qualify for this program. The Section 502 Guaranteed Loan is the most common type of USDA rural housing loan. Amazingly, this loan will actually lend up to 103.5% of the home's appraised value and even allow the buyer to include closing costs in the actual loan (appraisal permitting). All USDA Guaranteed Loans carry a 30 year term with a low fixed rate. USDA Home Loan requirements are not entirely credit score driven, although RANLife Home Loans require a 640 mid-score or better, USDA Home Loan guidelines will disregard some credit derogatoriness with an acceptable explanation. The home must be owner occupied (no investment property) and all single family, condos and planned unit developments. NO MANUFACTURED OR MOBILE HOMES. You must be discharged from a Chapter 7 bankruptcy for at least three years. If you are in a Chapter 13 bankruptcy and have made all court approved payments on time and as agreed for at least one year, you are eligible to make an USDA loan application. The home must be owner occupied (no investment property) and all single family, condos and planned unit developments (PUD). NO MANUFACTURED OR MOBILE HOMES. One of the biggest advantages of a USDA RD Home Loan is a the very low mortgage insurance (MI) requirement. This alone will potentially save you $50-$250/mo depending on your loan size. However, USDA has been recently changing the MIP requirements. Call a RANLife USDA specialist today to see how the changes might affect you. What factors determine if I am eligible for a USDA Home Loans? Repayment income is income from the actual loan applicants and determines the DTI (debt-to-income) ratio. Deduction for each child under the age of 18 and/or full time student over 18.